Another lazy Sunday spending some time with the family. Oldest had indoor soccer practice this morning and a brunch with the team. It was good to visit with some folks I had not seen in a while. We tried to watch a movie this afternoon but did not read up on what it was, needless to say it was not even 5 minutes in to the movie and that got turned off. So we started to watch the ball games. It may be just me but unless the Broncos are playing (even then) I just can't sit and watch a game I have to be doing something else or I would fall asleep. 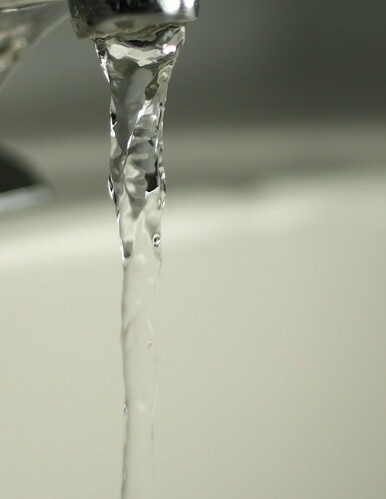 I have taken some high speed shots be for and wanted to see what I could do with water again. Unfortunately the shots did not come out as well as I would have liked. 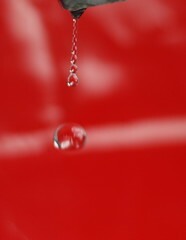 Most of the drops were out of focus. All in all I took about 300 shots till I got the 6 I uploaded to flickr. Here is the setup, I could not get my strobe's to recycle fast enough to take these kind of pictures and it does require a massive amount of light to get anything. 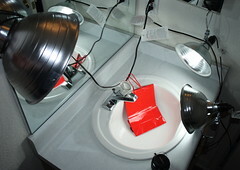 Back to my trusty CFL's (compact florescent lights) 5500k 27w nvision bulbs in clamp shop lights available at your local Home Depot. Side note here things look clean when looking at them with normal indoor lights. Wow when you throw that much light on something you notice its not as clean as you think. What do you think? Like I said I'm not as happy with these but it was worth the try.